Star Australian jockey Zac Purton registered his quickest century of wins in a Hong Kong season on Sunday. Purton reached triple figures for the fourth time in Hong Kong aboard John Moore's Aethero, before notching a double on Flying Victory. 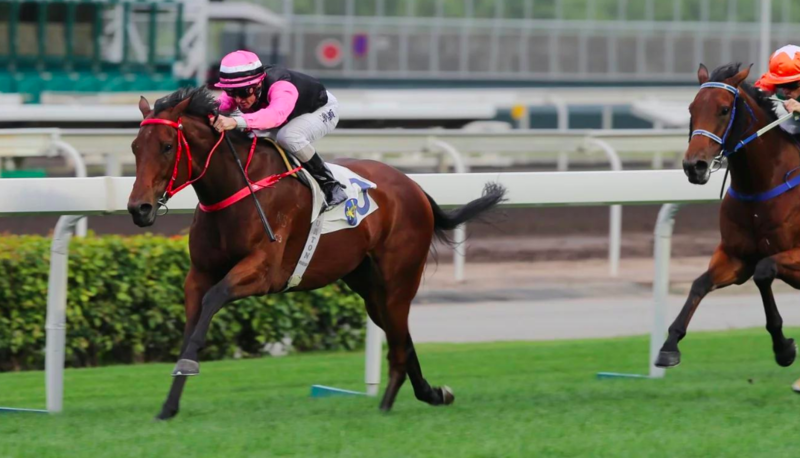 "It was just a matter of formality really and not something I was focused on, but it's a nice mark to get and there's still a few meetings to go in the season," Purton told the South China Morning Post. Purton is 35 wins ahead of second-placed Karis Teetan in the jockeys' premiership. "The premiership is over, it's nice to put that to bed even though we've still got a long way to go. It's been a good season and hopefully I can finish it off well," said Purton. In 2014, Purton clinched the Hong Kong jockeys’ premiership for the first time, ending champion rider Douglas Whyte's 13-year dominance. Purton won his second jockeys' title last season, recording a career-best 136 wins. "I finished last season off very strongly, banging in four and five-timers, and they add up quite quickly. I'm going to need to do that again to get to that mark," he said. "I'll just keep chipping away and keep doing what I'm doing. It would be nice to get past the mark I set last season, but whether it’s achievable, let's see."